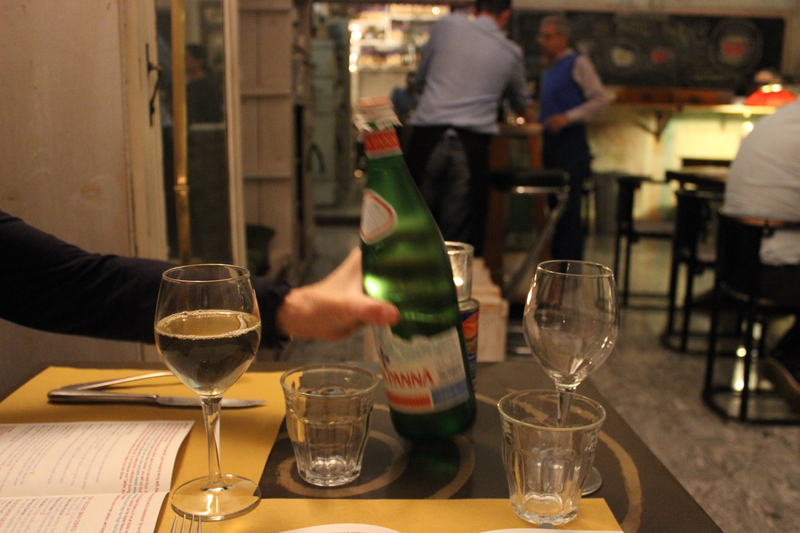 In the front room at Gatto Robe & Cucina. Adorable Mario is in the background in his blue vest. Decades ago it was a bakery, or a pasticceria. When Mario’s family took it over, they turned it into a travel agency. Then it was a clothing store with a travel agency in-house. 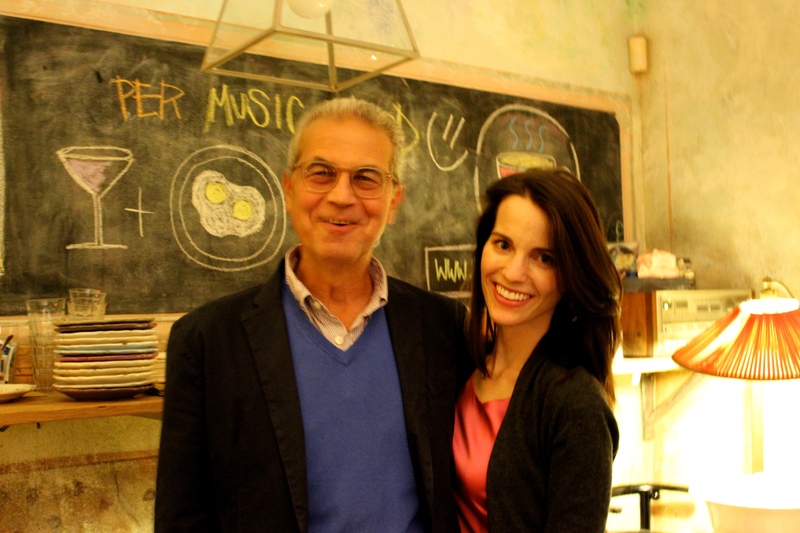 Naturally clients grew hungry after all of the shopping and booking, and so Mario’s wife offered them creative spins on regional Italian recipes. Their tagline says it all: “napoli a milano:” A little bit Sicilian, a little bit Lombardia, a little bit Roman. With the variety of goods, services, and food, who would ever want to leave? There is even a little bit of family theater included in the cover charge listed under ‘Practical Information’ on the menu: atmosfera, accoglienza, coperto (e l’occasionale “teatrino” famigliare) 2 euro. I can’t help but adore this family. The family supports young musicians and artists. So after papa Mario retired, the whole Martinetti family decided to put their love and energy into the restaurant. Now it is a cozy spot perfect for all seasons. In the warmer months, patrons spill out onto the sidewalk tables. The front room is lined with bookshelves holding tomato sauce cans and a myriad of books. Corner tables are made even cozier with pillows and benches. 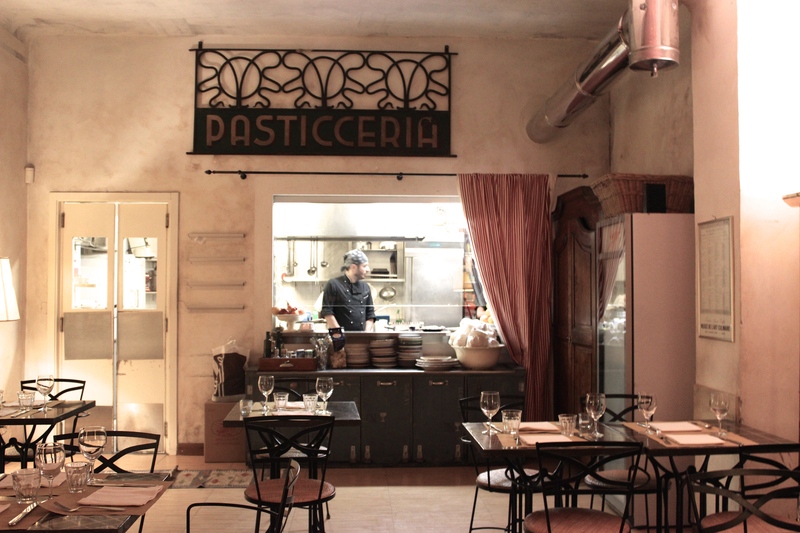 Down a short hallway, a larger room accommodates the majority of the guests, and the original ‘Pasticceria’ signage, found in the space when Mario’s family first took it over as a travel agency, hangs over the open kitchen. 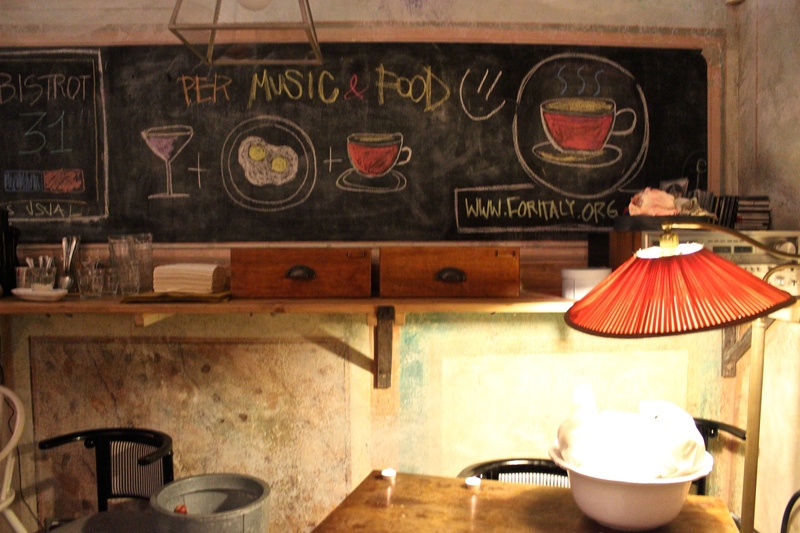 The menu exemplifies the family’s unending thoughtfulness and their quirky, humorous personalities. Never have I encountered a four page center-fold menu with more text. Detailed notes and sub-text tell the story of each of their carefully chosen ingredients of the highest quality, yet nothing outlandish that would not be found in everyday Italian cooking. Plates from Napoli, Mrs. Martinetti’s home city, are not trying to be exclusively Neopolitan: they are made as Mario’s wife might make them, with twists and turns and slight changes. 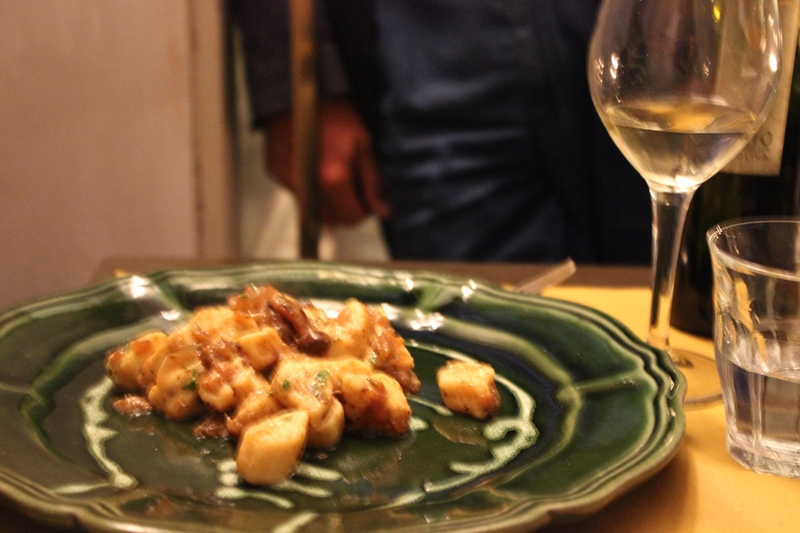 We had perfectly cooked gnocchi in the sweetest onion sauce. Mario suggested a simple but most exquisitely warm dish aptly named ‘Deep Purple:’ parmigiana leggera di melanzane cotte in forgo, mozzarella di bufala e salsa di pomodoro fresco. This is otherwise known as the best eggplant parmigiana we have ever had. The most creative dish that we had was the ‘Scarolatella: pizzetta di scarola spadellata con uvetta passa, pinoli, olive, e acciuga,’ a sort of sandwich with escarole, pine nuts, raisins, olives, and anchovies, also known as one of the best things I have ever eaten. 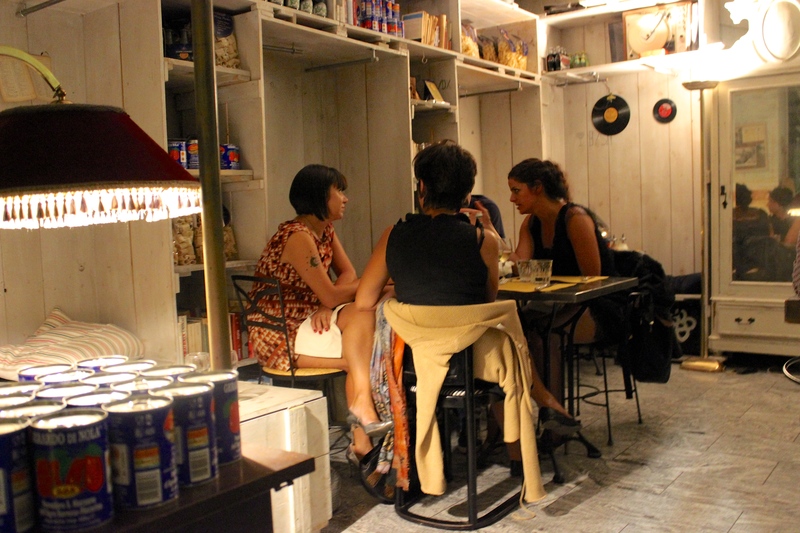 The entire menu is equally creative, yet warm and unpretentious. Mario insists it is simple home cooking, but I think he is not giving the Martinetti kitchen enough credit. I have yet to be invited to a home-cooked meal with such unobtrusive creativity. Their interest in local artisans is also explained on the menu: they host an ever-changing array of local designers similar to an art gallery exhibition. 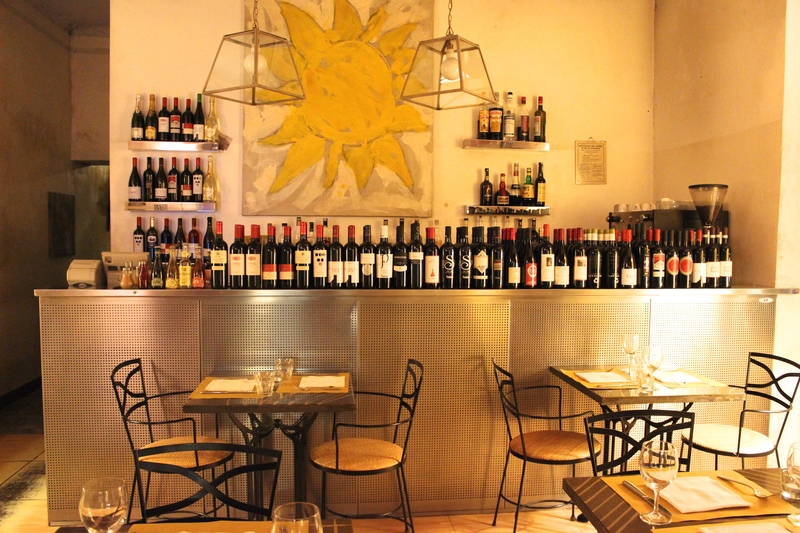 The story continues: they have gluten-free options; the lunch menu is a little more sportivo, or casual, and changes everyday; once a week, usually Mondays, they host young musicians for a warm welcome and complimentary aperitivi. They list the companies from whom they buy their ingredients: cioccolato from Lindt and Valrhona, pasta from Gerardo Di Nola and Garofalo, house bread from farina del mio sacco (flour in my bag). His family is together at last, and the capers in the caponata is that they are doing what makes them happy. For the Martinetti’s, it is all about family, an inspired meal, and a sense of humor. 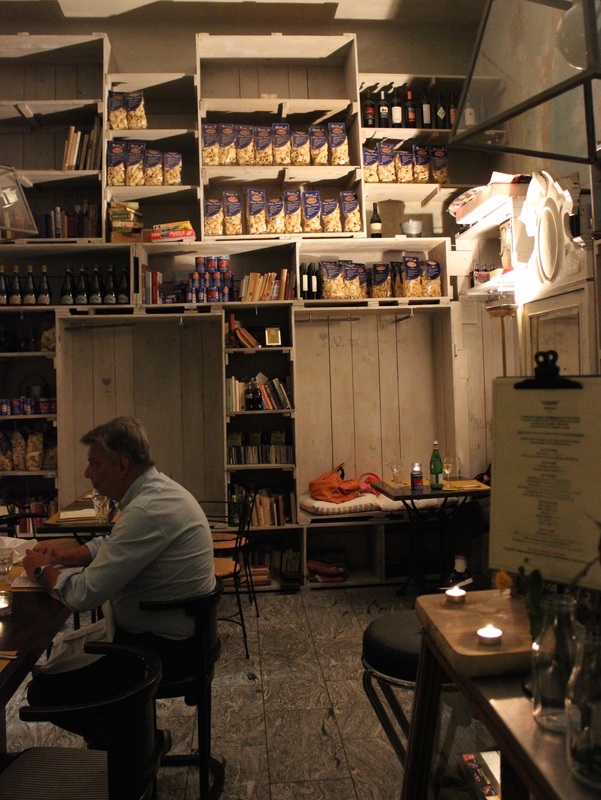 This is Italy: shelves lined with pasta, tomatoes, and old books. In the larger room with the original ‘pasticceria’ sign hanging over the kitchen pass. 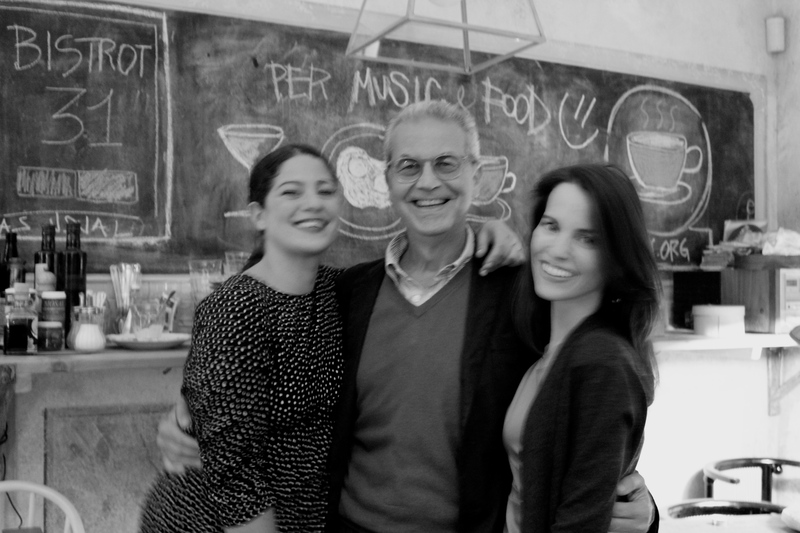 Olivia, one of Mario’s beautiful daughters, Mario, and myself. You couldn’t ask for a more loving family in all of Milano. 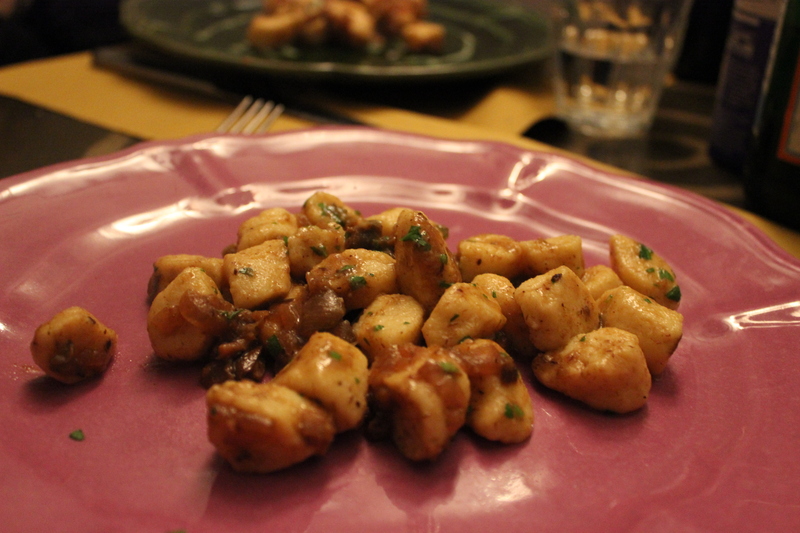 Gnocchi with sweet onions. Like dessert.